Support the foundation and get your shirt today. All funds raised will be paid directly to Richard and Linda Smith for Human Origins Foundation. Simply put, the Human Origins Foundation stands on the front line of the human origins revolution that was revealed in Richard Smith's book The Moor, The Mason And The Alien. The Foundation has a prime directive that focuses on getting the word out regarding extraterrestrial intervention, alien contact, the Moorish Legacy and the dynamic scope of our interstellar human origins here on Earth. The prime directive's mission includes a special focus on economic, social and geopolitical issues affecting Earth's ecology, spirituality, reincarnation, alien contact, lost knowledge, ancient wisdom, linguistics and etymology, the human condition and current affairs, to name a few. Foundation… Originally founded in 2011 by its creator Richard Smith, as the UFOteacher Global Foundation, The Human Origins Foundation carries a strong global presence representing a cross-disciplined educational platform that the Human Origins Conference has been built upon. As an evolving international network, the Foundation represents a collaboration of diverse interests throughout the world. Philosophy… The Human Origins Foundation comes from a powerful economic world view with an understanding that all things are connected, realizing that no one subject is isolated unto itself. When it comes to tackling controversial, sensitive, hot-button topics and issues, the Foundation exists to educate and empower the general public to take a stand against the social and economic constructs of human degradation in all aspects of our global society. In doing so, humanity is given a fighting chance to reclaim our ancestral dignity as well as our original legacy among the stars. We know this is a tall order and none of us live in an ivory tower. However, both the Foundation and the Human Origins Conference pursue the realistic perspective that the glass is still half full. As such, we maintain that it is everyone's responsibility to stand up and do something to turn the tide so as to avert the unnecessary and inexcusable actions that have the potential of leading to our own extinction level event. Remember, you are the master of your own destiny, the captain of your own ship and the arbiter of your own fate. There is nothing that happens on this planet without our individual influence and universal connection. So, let’s get down to brass tacks and accomplish something wonderful together! Wouldn't that be original? We think so. Welcome aboard! 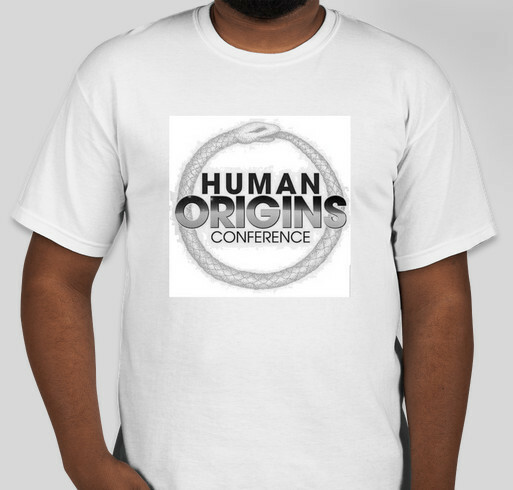 Share Why You Support "Human Origins Foundation"